Succesful qualifying evening for Playerzone Team. CILFS2014: GTL@AS3R, tough combo, it's very easy to overturn the car. Max developed a great setup! Q1: 4 of the 5 PLZ drivers qualified for Q2. Fabrizio Barbierato qualified 17th, running very close to his PB. Q2: A small mistake in the first chicane for Alessio Mangano, qualified 10th. 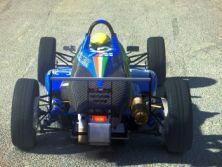 Enrico Meraldi qualified 8th in his first Q2, despite having broken hardware. Good job! Mattia Moro secured the 2nd place with a consistent 1:55.10 hotlap. Max: we didn't train much, but we all did our best, getting unexpected results. PLZ Team got the front row and 4 drivers in the top 10: stay tuned for drama! The race will be on the 16th of April.